As I discussed in last week’s post Cortisol: What it is and Natural Ways to Lower it, cortisol is a hormone released to help us deal with a multitude of stressors and stressful situations. Though important for survival, too much cortisol can cause a variety of health problems. So what happens if your cortisol levels are always high? If you live a very stressful life or happen to be a caregiver to a loved one, you need to set boundaries and start taking care of you! What follows are some ideas to help you better manage stress, especially if you happen to be a caregiver. Stress comes in many different forms and presents itself differently in each one of us. Some of us will have trouble sleeping. Others will break out in hives or a skin rash. Some will get sick, experience panic attacks, gain weight, lose weight, or become extremely fatigued. If any of these happen regularly or often enough, you can become downright miserable and feel like a different person. But regardless of how stress affects you, read on to discover some practical things you can try to help better manage the stress in your life. A big part of stress-reduction involves self-care. And by self-care, I mean taking care of yourself first! If you do not take care of yourself, it’s impossible to care for anyone else. As a caregiver for years following my husband’s brain injury, there were times I didn’t think I could handle it. Taking care of him was a full-time job, on top of taking care of a household and often times working to make ends meet. If you are a caregiver to a loved one, you understand what I mean. We are pushed and pulled in multiple directions without being consulted or asked if we are up for the task. Yet we make it work. We do what we need to do with a smile and no regard for our own well-being. Any plans we may have devised could easily be tossed aside if our loved one is having a bad day (or moment). After all, their needs always come first. It’s only natural to feel overwhelmed at times. Take care of yourself first! They don’t know what you go through every day. They don’t know what it’s like. I know this can seem like an impossibility. And I know it’s easier said than done. Others not in your situation will dole out advice with the best of intentions. Yet they have no idea what its like to live in your shoes. When this happens its easy to get mad, feel upset or dismiss their impossible advice. Then when we’re alone, we cry about it wishing we could just go back to the way things were. Wishing we could wave a magic wand and restore normalcy. So we get angry. We get mad. We can’t sleep. We’re exhausted. We’re frustrated. And we are becoming someone we don’t recognize any more. And what makes us feel this way? Cortisol. We are stressed. We are stressed to the max and have way more to deal with than any one person could possibly cope with. Our cup is overflowing and we cannot contain its contents any longer. We are tired and sick. We need a break but can’t take one. You must take care of yourself! Don’t sweat over the little things - This seems like an odd suggestion, but take a step back and realize that most things going on around you are insignificant. If the laundry piles up, let it pile. If dirty dishes overflow your sink, don’t worry about it. Learn to stress less - especially over the little things. Take stock of what’s truly important - This was the biggest lesson I learned after Joe’s accident. When the one you love the most is almost taken away from you, you learn what is truly important in life. You imagine what life would be without that person and cherish them even more. Once you realize what is truly important to you, you can better follow my first pice of advice - don’t sweat the small stuff. Don’t stress over the things you cannot control - Letting go of what you cannot control is sound advice, There is enough stress in your life that you don’t need to worry about things you have have no control over. Let it be and let that part of your life go. Accept help - You are not a martyr and should not play the part of one. You are not a superhuman and cannot do everything yourself, no matter how hard you try. Ask for help and accept it when it comes your way. Do one thing at a time - Set realistic goals for yourself by breaking large tasks into smaller ones you can do one at a time. Prioritize them, make lists and establish a routine. Learn to say no to requests from others that require extra energy you simply do not have, like hosting a gathering or helping a friend move. Go for a walk - Taking a time out to walk, get some fresh air, or participate in some form of exercise can do wonders. Exercise has been shown to lower cortisol levels and reduce stress. It’s also a great way to occupy your mind with something else, keep you active, boost energy, and improve sleep. Write it down - Sometimes when the to-do list in our mind becomes too long, it can be overwhelming and easy to forget what we need to do. Keep a list. Write down the tasks you need to complete or items you must get at the store to take some of the pressure off yourself for having to remember everything. Make time for fun - This may seem impossible and you may feel incapable of laughing at times, but making time to do just that can be extremely therapeutic! When we laugh and even smile, cortisol levels drop. Even if just briefly, this respite from high cortisol can work wonders. After all, laughter is the best medicine. Talk to an expert - Make an appointment for yourself to talk to someone like a counsellor or psychologist. Get all your thoughts and feelings off your chest and give them to someone else to shoulder, even if just for a brief while. It’s a great way to validate your feelings and acknowledge that you matter. Who knows, you may even get some other ideas of things you can do to help yourself while you help your loved one. Take pleasure in little wins - Enjoy some fresh air. Smile. Relax. Realize that every step in the right direction, no matter how small or seemingly insignificant, is still a step in the right direction! Acknowledge what’s going right and celebrate it. Taking pleasure in these moments of progress becomes even more important if each small step forward is surrounded by several steps back. Practice deep breathing - Stopping to take a few slow deep breaths when things seem overwhelming can help a great deal. It can help you relax, let go of guilty feelings or thoughts, and lower cortisol at the same time. The bonus with deep breathing is that you can do it any where at any time. Abandon guilt - I give you permission to let go of the guilt or feelings of inadequacy you may have. No one is perfect or a perfect caregiver. Though it’s normal to feel guilty sometimes, focus on what you are able to do for your loved one and on what you are able to provide. If you can’t do it all, hire someone who can. Believe that you are doing your best at any given time, and that you are making the best decisions you can. Eat well - Keep your strength up and feed your body the proper nutrients to keep your immune system strong. I know this can be a challenge. Trust me! But by eating well, you will start to feel better, have more energy, and improve sleep quality - all things that will better enable you cope with everything life throws at you. And most importantly, when you need a little break, please take one! You do not need to feel guilty about taking time out of your day for yourself. It can be as simple as going for a little walk or taking a 15 minute nap. Take a few slow deep breaths. Enjoy a quiet hot bath. Watch a mindless tv show. Pick up a good book. Talk to a friend. Grab a coffee. Just getting out of the house for a few minutes and being alone can be very helpful. Caring for a loved one puts a strain on even the strongest and most resilient people. If you are a caregiver, be sure to make the effort to preserve your own health and well-being. Once I figured out that I did matter and that I needed to start taking care of myself, my mindset changed. I was able to relax a little and let some things go. Many of the tips I shared with you were things I adopted - things I had to adopt to maintain my health and sanity. My favourites were taking the dog for a brief walk and deeply breathing in the fresh air to clear my head, or grabbing a specialty coffee then wandering through a book store or grocery store with it, enjoying every sip. Whatever your preference, I urge you to make time for it - and to make time for you. You cannot be any good to anyone otherwise. Caregiving is a rewarding but stressful job. As a caregiver, taking care of yourself is the most impotent thing you can do. So make sure you are eating well, staying active, and taking needed time out for yourself. As always, I welcome your thoughts and value your feedback. Let me know what you think by dropping me a line or commenting below. 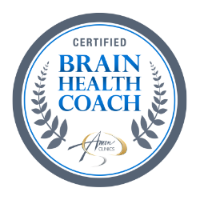 And if you haven’t already done so, please sign up to receive my newsletters for more information about brain health, neuronutrition, lifestyle tips, and nutritional advice. 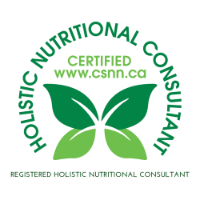 Of course, if I can help you or a loved one with your nutritional needs, make an appointment to see me today!